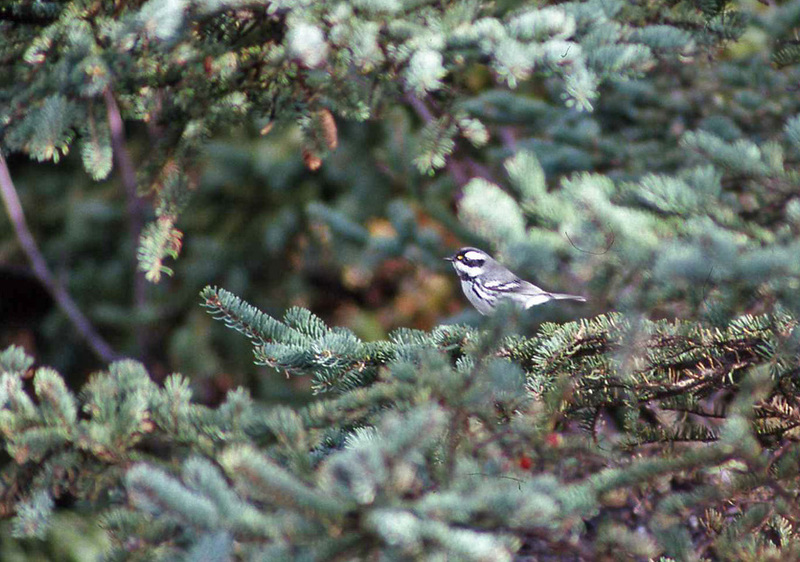 This stunning Black-throated Gray Warbler was discovered in St. John’s on November 1, 1992 and relocated a few weeks later. It is the only record for for Newfoundland. Origins: Breeds across much of the western United States and southwest British Columbia, wintering primarily in Mexico. It is one of the rarer vagrant warblers in eastern North America. Record Details: One record for Newfoundland – Observed along the lower Waterford Valley, St. John’s several times between November 1 – December 5, 1992 (including in the yard of a “prominent” St. John’s birder! ).